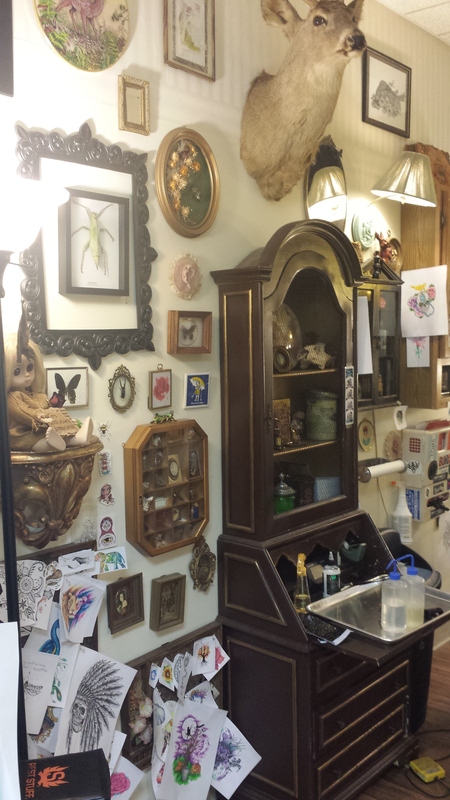 Christine Fotorny is a tattoo artist and the owner of Tattoo Obscura. Christine started her apprenticeship in October 2010 mostly piercing. 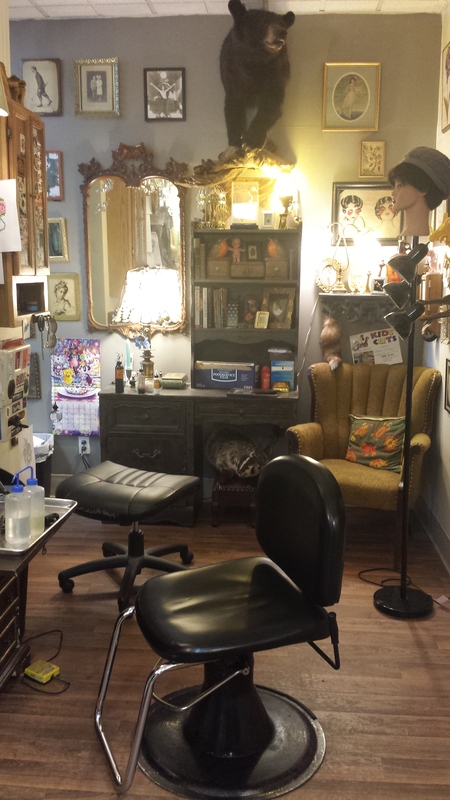 She began tattooing full time in October 2012, after her daughter’s first birthday. She earned her BFA in Mixed Media from UW Whitewater in 2009, as well as her BA in Women’s Studies. 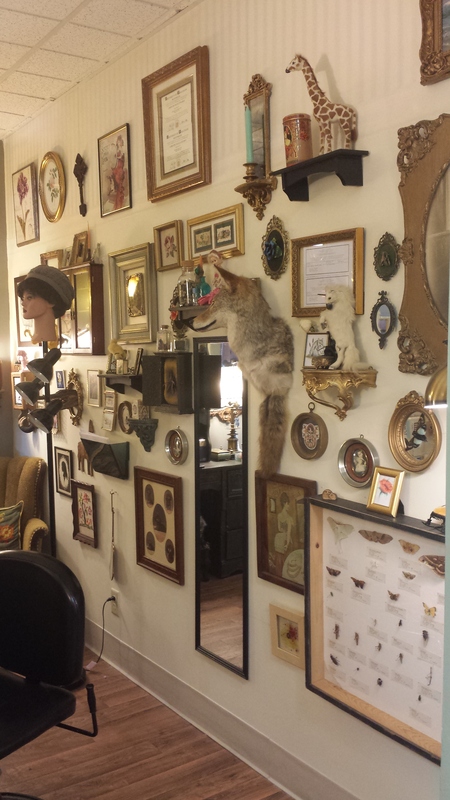 She is also a professional (and organized) thrift store hoarder, a taxidermy enthusiast and a coffee junky. In her spare time, she binge watches all of the shows and eats all of the chips and dip. While she dabbles in a little of everything, she prefers tattooing in styles reminiscent of her painting and drawing background like realistic graywash and watercolor. Christine works Tuesday through Saturday 11am-7pm! You are an amazing tattoo artist and i love your work so much. Keep it up! Thank you for the most amazing day yesterday with myself and my girlfriend. My foot tattoo representing my two grandkids exceeded my expectations. You bring the mixture of great technique and incredible customer service together in one package. You truly listened to what I wanted, you envisioned it and then created it. Then you made the experience so totally fun and awesome! Ps I like my wrist tattoo also. I can’t wait to get to work Monday to show both of the off! I just wanted to say thank you soooo much for the nose piercing and fixing of it as well. You made it so easy to get it done and made me feel at ease. Thanks again!!! After looking at your portfolio I think I fell in love with the watercolor tattoos. I cant wait to come in for my consultation! Awesome!! Glad to hear it. 🙂 they’re my favorite! Christine, thank you for the wonderful flower addition to my initial tattoo. I really didn’t know what I wanted the outcome to be and you nailed it. I love your work! Thank you! Christine, thank you for the beautiful addition of flowers to my initial. You definitely exceeded my expectations. I love it! Christine…Thank you so much for my 2 beautiful tattoo’s. You do excellent work & I love them! Thinking of what to do next, maybe a cover-up on 2 I don’t like. Thanks again!!! Hey Christine, my son and I are so pleased with our memory tattoos. I think of my mom everytime I look at my wrist. And my son, with my mom’s name on his arm is beautiful. We’ve told many people your talent! Was told you’d be back Monday, can we set up a consult time? Hi! yes you’re welcome to stop in any time now that I’ve returned. I’m at the shop Monday-Saturday 11-7pm. My daughter is graduating in June she wants a tattoo on her belly by her indie line. Can we have your email Christine to send a couple pics to see if u can do? Yes you are welcome to email or stop in to discuss the tattoo ideas! Prices are hard to estimate online. The shop email is tattoo.obscura@gmail.com. Hope to hear from you soon.